It is not necessary to always have an Adam or an Eve with you to enjoy a paradise like the Caribbean. Even if you are going on a trip alone, you can still have a great time. A Carriben cruise means you will not just enjoying the beauty of the sun-kissed beaches, but also meeting a lot of interesting people that would make your vacation a very enjoyable and memorable one. In this place, you can also have a wide array of options for entertainment. Below are the steps on how to ensure that your vacation to the Caribbean would be a success. Step 1: Pick the perfect schedule for this trip. You have to start planning for your vacation as early as possible. The first thing that you should do is to check your personal calendar and pick a good date for a holiday vacation. December to May is the best time to go to the Caribbean. But you don’t have to worry even if you are not free to go during these months. After all, the place has, generally, a fine weather all year round. If you are on a budget, you can choose to go there during the off-season. The fare and the accommodations during these times are usually more affordable. The Internet is the best place to get information for your trip. You should decide what would be the best and enjoyable means to go there. There are lots of cruise liners to choose from. You should consider the rates and amenities of each as well as the special package for singles. Some cruise packages include parties, match-making contests, and plenty of other exciting activities. Getting information about the specific islands in the Caribbean is also necessary. Step 3: Shop for better rates. If you have found various options for the accommodations, you should then compare the rate of each package. Choose the one that would be suitable for your budget and your preference for vacation and fun. Don’t take too much time planning for the trip. Make reservations once you’re ready, so you won’t miss a good travel deal or package. Set a deadline to make sure that you won’t miss opportunities and can get on board before the promo expires. 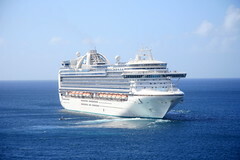 A Caribbean cruise is a dream vacation for many people. It offers different opportunities for meeting other interesting singles and simply have the time of your life. Keep an open mind to enjoy your trip to the fullest. Planning a Caribbean vacation – Planning for a romantic vacation in Caribbean. Tips for Caribbean Vacation – Tips and advice on how to plan a trip to the Caribbean. Why Caribbean – benefits of planning a Caribbean vacation. Cruise Itinerary Changes – How to plan for cruise itinerary changes. It is extremely important to always be ready and plan ahead for your trip. The most stressful part of a trip is packing your things. You have to think about appropriate dresses and travel documents to bring. You will be required to bring your passport with you. A cruise trip may last for a week or more, so be prepared on several outfits to bring. Do not forget to have your tuxedo or ball gown with you because there is always an elegant dinner or cocktail every night at the cruise ship.